Holiday breaks are wonderful for relaxing and enjoying unstructured time with family and friends and maybe even getting a few moments to read a good book or take a quiet walk in nature. Now that we are back to the rhythms of the school week, we hope your children and you will feel the peacefulness that can come with a bit of structure. 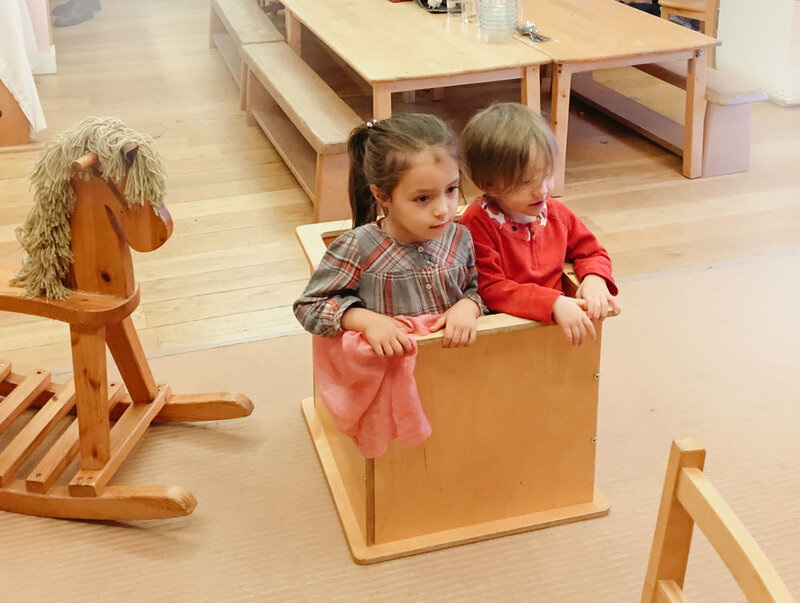 It always takes a few days, but I hear from our faculty that your children have settled in very well, relishing a return to the predictability of the school rhythm. In this new year, we have much to look forward to! Next week, we have talks by Liz Baring AND Louise deForest, bringing their wisdom and experience to our faculty and parent body. We also have re-enrollment ending at the end of the month and tuition assistance awards going out at the same time, and with many new families having applied or in the application process, we have interviews, tours and open houses too. We have a new Village Peeps class with Ms. Ali, Earth Arts, and our other peeps classes continue to grow and include more children from neighboring schools. And the second and third grades are already looking ahead to their overnight farm trip upstate later this spring. 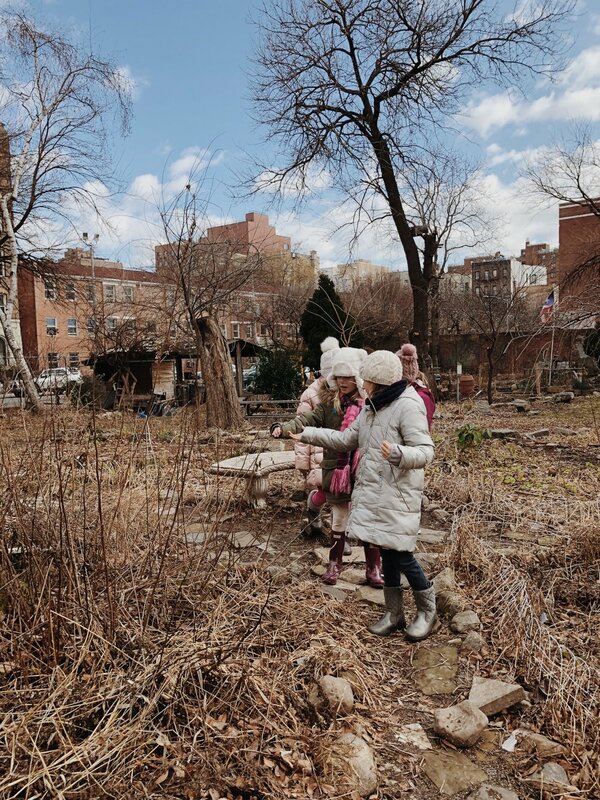 Our garden committee's vision includes a new treehouse, a pond, and more - and plans are in the works now for those to be completed this spring with the help of parents and faculty. Last but not least, we are working on securing the lease at 160 Christoher Street for our new elementary school and forming an expanded real estate committee to hold the work of the renew and refresh the space will need. We have already contacted master Lazure painter Robert Logsdon and a Lazure workshop to include interested community members is being planned for the late spring. Winter may still be here, but it feels as if a bit of spring has already arrived and brought a freshness to our energies. We are looking forward to all that the new year will bring! Once upon a time in a garden, families gathered on picnic blankets under blue skies. Children ran free, chasing after butterflies, while sweet birdsong filled the air. Now, in the winter season, there's no trace of picnic blankets, butterflies, nor birdsong. Yet the children are as enchanted as ever, in having a context as wide as their legs can run and filled with natural treasures, like simple sticks and stones. Building small encampments out of found stones, or simply peeking at what lies beneath the surface is a source of joy and discovery, and lays the foundation for a healthy mind and body. What could be better? So many things! We three, Frank, Erin, and Patricia, as members of the EL Jardin Steering Committee, have three amazing projects we'd like to do this year. Picture our wonderful garden, in the context just described above, with three new additions: (1) a sandbox (2) a new tree house (3) a pond. We can make it happen! Here's how you can help: Please contact Erin, Frank, or Patricia to add your ideas, your expertise, your work, anything you can contribute, and we'll pile a bunch of us together to make it happen. Currently, we have one parent with an expertise in treehouse building, and we are working on writing a grant to get funding. The other two projects, the pond and sandbox, are at the beginning stages as well. Everyone at the school is grateful to the volunteers who clean the garden each day before the children's arrival. You do an amazing job, for there is no evidence, other than what nature herself provides, of your efforts and work. A true gift! The entire New Amsterdam community are all invited to participate in our next Community day at the garden, which is Saturday, Jan. 26th, from 10:00 am to 2:00 pm. Come lend a hand, bring your children, and fill your heart with the joy of some needed outdoor work. Stay as long, or as short, as you wish, and thank you. We did it! We deeply thank each and every one of you who helped make this Annual Fund a success for New Amsterdam School. Because we successfully raised $200,000 in donations and pledges, we received a $100,000 match grant from one generous NAS family. 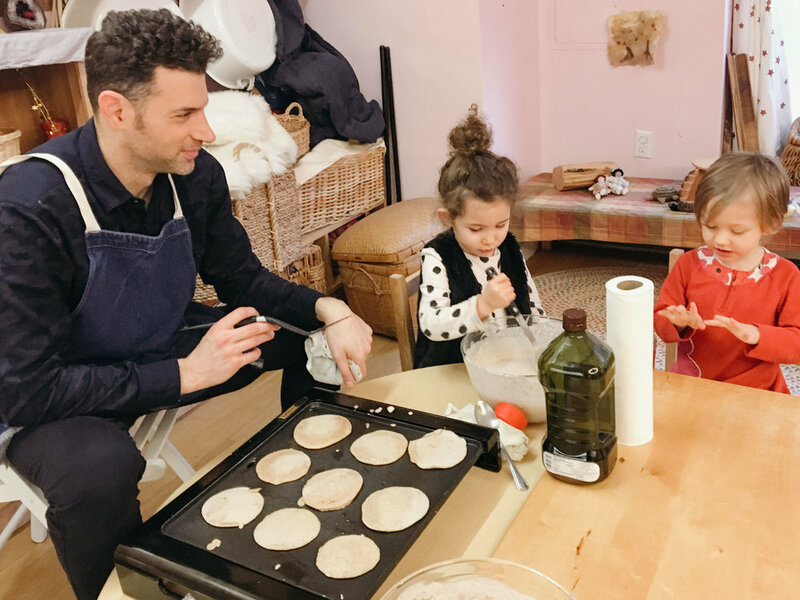 This incredible milestone allows us to continue to work hard to grow our school and offer Waldorf education to more children in downtown New York. A special thanks goes out to Frank Rivera for organizing and implementing our 2018 Annual Fund. This year a new future begins for us all, including our children. Join us in planning, organizing, and completing the work in our new elementary school space. This will be a great way to invest your time in creating a beautiful space for our elementary school children and families and it is also a wonderful way to deepen friendships through shared work. We have already heard from a couple of parents wanting to join - thank you! Louise deForest will join. Our topic is the value of mixed-age kindergarten. A Talk with Liz Baring: "Thinking with the Heart (Learning How to Listen Empathatically to Your Children)"
All are welcome! Following the building tour, we will walk to see surrounding outdoor spaces. Earth Arts with Ms. Ali begins this week on Fridays from 3:30-5:00pm. Children will explore the natural world through art and creative projects. Enroll online or at the front desk.